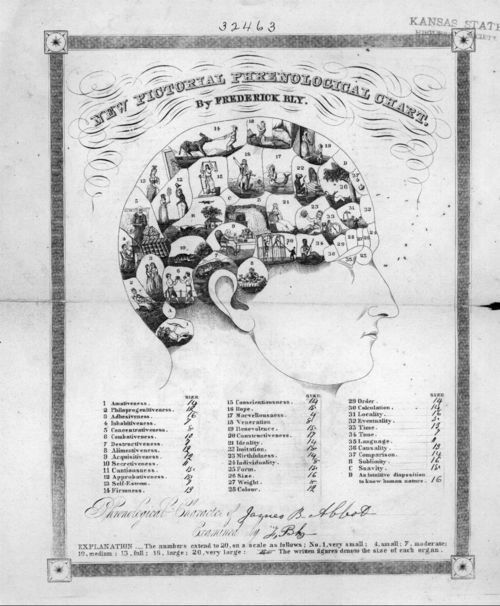 James B. Abbott, a follower of phrenology, had his phrenological character charted by Frederick Bly. Phrenology is a theory which claims to be able to determine character, personality traits and criminality on the basis of the shape of the head (i.e., by reading "bumps" and "fissures"). Developed by German physician Franz Joseph Gall around 1800, the discipline was very popular in the 19th century.